Search-engine optimization (SEO) hasn’t been around as long as most other forms of marketing, so it’s not as well understood. That’s not a problem for businesses that hire reputable SEO consultants who’ve put in the hard work to become experts. Those clients don’t have to be skilled at SEO to realize seriously impressive gains. That lack of understanding is a big minus, though, for companies that choose an SEO provider solely on price. In many cases, cheap SEO is even a big danger. Not only will you get what you pay for with the lowest-priced SEO; you may also get trouble you didn’t bargain for and a hit to your bottom line. Short-term gains can cause long-term losses. I’m a business owner. I know what it’s like to stay on the lookout for ways to trim costs and how tough it can be to decide what has to go. There are some things, though, that are never on the cost-cutting table because they have the most long-term value to our success. Cutting corners on the people, tools or partnerships that help us increase our clients’ profits (and that we build our own reputation on) might offer a short-term lift in our bank balance, but it would kill us in the long run. If you had a car repair business, how successful would you be using inferior parts or hiring unqualified mechanics simply because they kept your costs at rock bottom? The same holds true no matter what business you’re in: An investment in long-term quality pays off in terms of longevity, reputation, repeat business and profits. So what might you really get when you choose cheap SEO or the lowest-priced online marketing service? Let’s look at a few examples. SEO Easy tricks such as keyword spam and redirects yield high rankings. Then Google catches up, penalizes you and rankings drop off quickly. Competitive keywords, original content, your site’s structure — all are improved to ensure higher rankings with staying power. Link-building Cheap links lead to spam. Google’s new Penguin algorithm aggressively punishes sites with spam. Enough said. Networks and relationships are carefully built over time to gain high-value links to relevant sources. Content Keyword-stuffed content is outdated. Google’s Panda algorithm ended the era of poorly written content, which doesn’t earn you customers anyway. Great content created by professionals attracts attention, inspires action and builds your brand and your business. 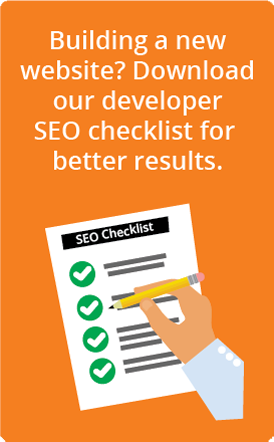 Web design & development Security issues, low conversion rates and no way to continuously improve SEO are some of the “features” of a $500 site. Your site is the hub of your online marketing success. It’s the first impression of your business and every single aspect of it matters. In a perfect world, a license would be required to sell SEO and online marketing services. There would be a law against the unconditional guarantee of first-place rankings. (Google itself says it best in its own guidelines: “No one can guarantee a #1 ranking on Google.”) There would be fines for the damage that fly-by-night SEO “experts” do to companies’ websites as they leave them in much worse shape than they found them. We’ve come in to clean up such damage too often at DAGMAR. Some of our clients have had to devote their initial budgets to starting from scratch in order to get away from the penalties that cheap SEO brought down on their domains. In truth, you’d be better off devoting time to learning the basics of SEO yourself than hiring a cheap SEO provider that you’ll likely never meet face-to-face. You’d probably do much less harm. No miracles, no magic. Just hard work. We’re not the lowest-priced SEO by any means, and many are priced much higher. If prospective clients want keyword-loaded writing, a few low-quality links and a quick rise in the rankings for $500 a month, we’re not their shop. If they want a partnership and a plan with true relevancy to their business goals, however, we’ll be here for them for the long haul. Could we promise you better rankings overnight? Absolutely. But will that quick hit have any power to turn leads into customers? Not a chance. As with any other form of professional marketing or advertising, it takes time, testing, experience and creativity to see incremental improvements. The return on investment may seem gradual at first, but the value of those returns will build on itself over time and be there working hard for you tomorrow. How to sort out the good from the bad. Check out their own rankings as a company — most SEO shops don’t rank locally or rank for only one keyword phrase. Cheap SEO companies that can’t rank themselves for more than one search phrase probably can’t get multiple rankings for you. If all they have to offer is a one-size-fits-all package, walk away. If they tell you that they’ve helped thousands of businesses maintain high rankings for less than you spend on lunch each month, run away. Your company’s reputation and the face it presents to the world online is beyond price. Trust it to professionals who are willing to stake their own reputations right alongside yours.